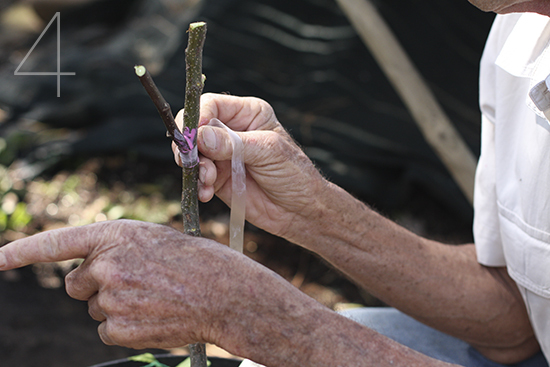 Grafting is a technique whereby a shoot of a desired plant cultivar is inserted into another plant to join them together. Oom Anton, our full time pruner has selected the apple variety Winter Pearmain for its roots and Golden Delicious for the fruit. 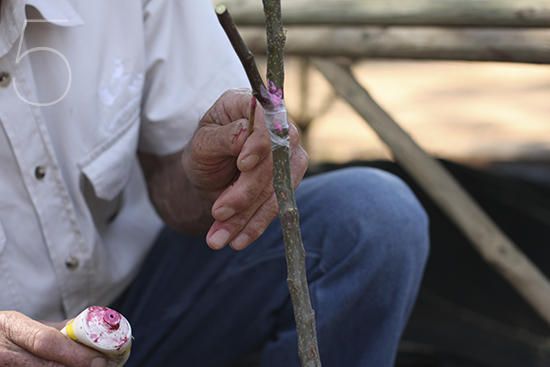 Spring is the perfect time to try your hand at grafting – the rootstock is alive and filled with moving sap. 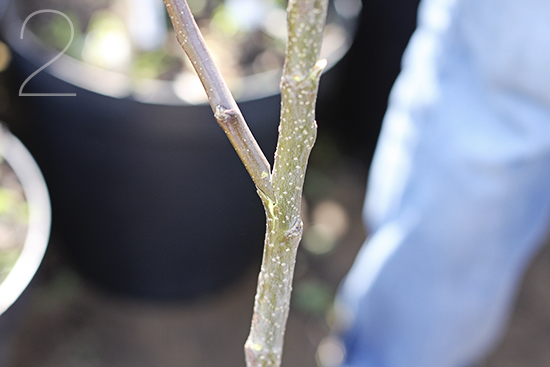 Use a sharp, clean pruner’s knife and make a slightly downward horizontal cut in the rootstock between new growth buds. Prepare the scion wood by sharpening one end with a wedge-like cut. Select scions that have three to four good buds for future growth. 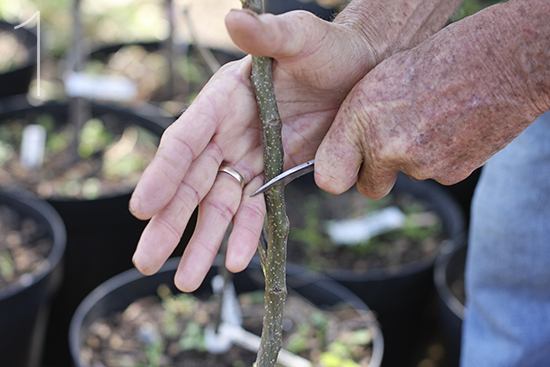 Gently push the scion wood down into the rootstock cut and trim the scion down to three buds. It is very important to make sure that the cambium layers of the stock and scion plant are aligned for the sap to bridge the gap and heal the tree. Apply a fungicidal pruning paste around the wound – this will reduce the risk of infection in this area. To keep water out and prevent drying, tape the graft together tightly. 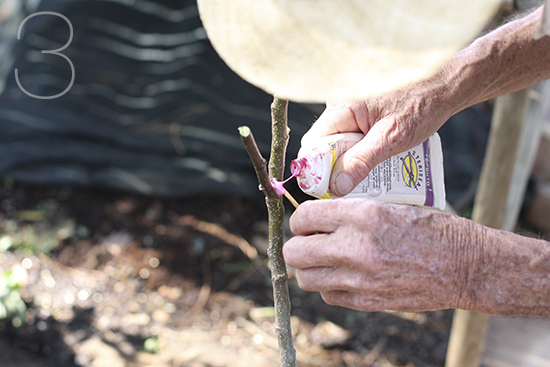 Lastly seal the graft one more time with the pruning paste and remember to label it. Water your plant frequently and soon you will see new growth.